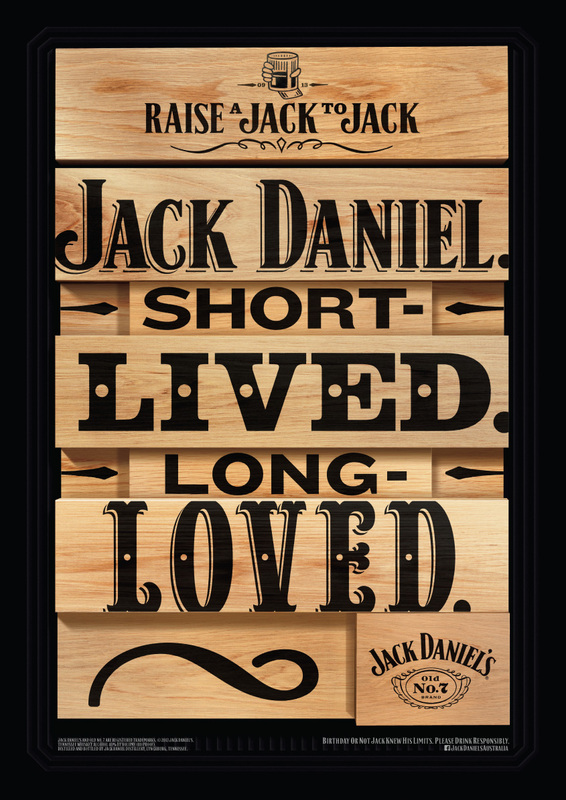 Jack Daniel was the original independent spirit with a reputation for doing things the right way rather than the easy way. No-one knows his exact birth date, only that he was born in September 1850. So to celebrate his birthday this year we created a month long print & poster campaign commemorating the man, the myth and his love of whiskey making. 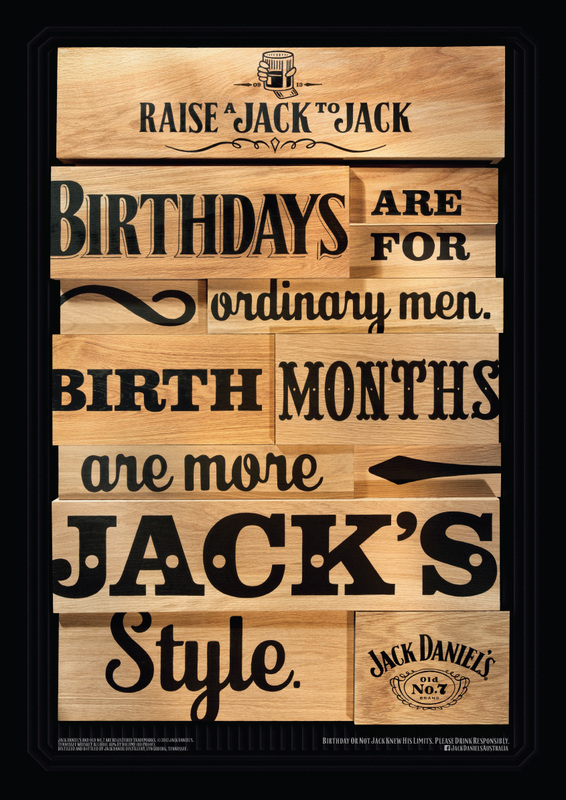 In keeping with Jack’s obsession with craft, each headline was hand painted onto untreated American White Oak - the same wood Jack Daniel’s still hand make their barrels from today. The finished wooden blocks were then photographed to make the final ads, with the ‘making of’ story shared online. Crafty eh? I said cra'...oh never mind.